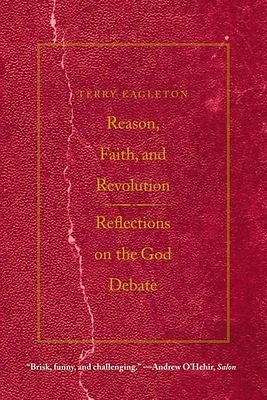 Terry Eagleton's witty and polemical Reason, Faith, and Revolution is bound to cause a stir among scientists, theologians, people of faith and people of no faith, as well as general readers eager to understand the God Debate. On the one hand, Eagleton demolishes what he calls the "superstitious" view of God held by most atheists and agnostics and offers in its place a revolutionary account of the Christian Gospel. On the other hand, he launches a stinging assault on the betrayal of this revolution by institutional Christianity. There is little joy here, then, either for the anti-God brigade--Richard Dawkins and Christopher Hitchens in particular--nor for many conventional believers. Instead, Eagleton offers his own vibrant account of religion and politics in a book that ranges from the Holy Spirit to the recent history of the Middle East, from Thomas Aquinas to the Twin Towers.